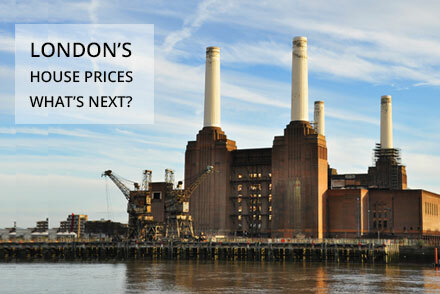 London house prices: What next? I was reading the London Evening Standard on the train home recently and an article about residential property development in Battersea caught my eye, so a quick mention for Chris Blackhurst the author who penned the article. He suggested asking Rightmove.co.uk how many flats & apartments were currently for sale in Battersea, South West London and he was correct saying something close to 2,000. Furthermore he was also right that 1,000 flats were available for rent as well. To be fair some of the properties for sale were just a tad out of reach of most families, selling upwards of £10,000,000 but there is a significant amount in the ‘affordable’ bracket, if you call £1/2m for two bedrooms affordable which leads me on to the main point of Chris’ piece. New flats everywhere you look, but is anyone buying? The south bank of the Thames near Battersea is being developed at the moment with plenty more new build properties due to become available relatively soon and, importantly, all at the same time give or take. The impact of the new stamp duty rates for buy to let owners, the appreciation of Sterling against Asian currencies and investors from Russia, China and the Middle-East having economic problems closer to home that means they are less likely to consider buying a luxury pad in Battersea. The developers rely on investors buying their flats before they are built and, more often than not, the investor sells the property on before the build is complete to another investor who then sells it to someone who might actually want to live in it. Without that first investor the developers are in trouble and if a developer goes bust then that could well trigger a ‘fire sale’ of their assets and this may well trigger a correction in London house prices, locally to start with but ripples in a pond always travel outwards. I have never understood why America’s residential property market crashed so badly, as did Spain and Ireland for example back in 2008 but the South East of England avoided any major problems, even if you couldn’t sell anything for a while because mortgage lenders stopped lending money. More recently Singapore property prices have fallen – 8% or so in 2015 – which has resulted in my brother & sister-in-law finding it really difficult to move because buyers know they can wait a few months and prices will be lower. If prices call fall in somewhere as crowded and affluent as Singapore and as fundamentally wealthy as the USA, then London and the South East are not immune. I’ve no idea what is going to happen next but it is more than likely I will avoid a Buy to Let in Battersea just for the moment!